They were arrested Wednesday after a mail carrier in McMinn County reported a suspicious truck behind a residence on County Road 568. A deputy spotted the truck and stopped the vehicle with Dockery and Jirles inside. He also found several electronic items stolen from another residence. “As the investigation proceeded, it became evident that these two had committed a string of burglaries in both McMinn and Monroe Counties, so this is now a joint investigation with Sheriff Tommy Jones,” said McMinn Co. Sheriff Joe Guy. The two have been linked to burglaries on County Roads 550, 210, 252, and 561, as well as at least one theft in Athens. Monroe County is connecting the suspects to several burglaries and an estimated $60,000 in property. 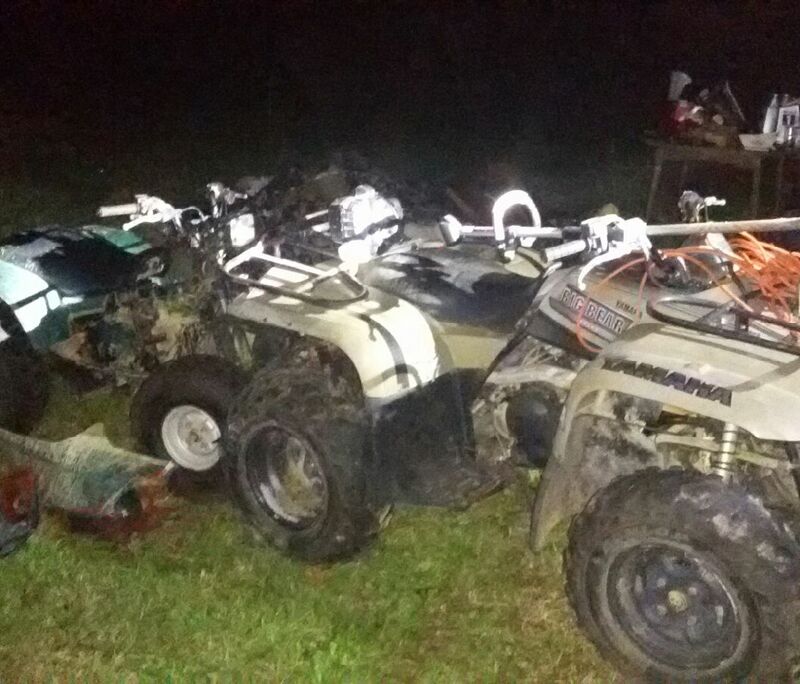 Authorities are trying to identify several four-wheelers that were recovered during the investigation. If you have any information, contact your local sheriff's office.